The Elements 70mm roller is perfect for rolling any singlewide smoke quickly, neatly and easily. Even if you have absolutely zero experience with rolling machines the Elements roller comes with step by step instructions to guide you through the process. The frame is even made from a tough acrylic, much more durable than the standard plastic rollers you may be used to. Single pack not enough? 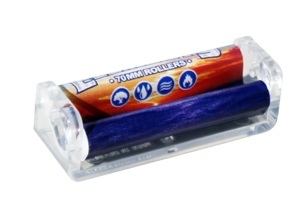 Check out the Elements Rollers 70mm Full Box.